Viet Nam has made rapid progress in attaining its socioeconomic goals. However, the quality of urban growth is uneven, with many cities suffering from pollution and loss of natural capital. Photo credit: ADB. Viet Nam's Vinh Yen City is a model for urban planners and policymakers seeking a cleaner, greener, and more sustainable city. The GrEEEn City Action Plan of Vinh Yen in Vinh Phuc province, Viet Nam, addresses the city’s challenges of rapid urbanization by integrating sustainable urban development and environmental planning. By focusing on the 3Es—economy, environment and equity, the plan provides the framework for Vinh Yen to become an ecobusiness satellite city in metropolitan Ha Noi. The Vinh Yen GrEEEn City Action Plan was prepared with technical assistance from the Asian Development Bank. This article summarizes the initiatives and enabling measures to implement the plan. 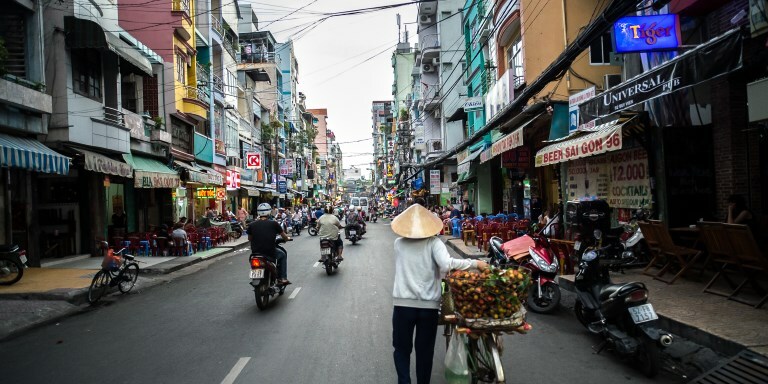 Vinh Yen is an industrial suburb that serves as a gateway to Viet Nam’s capital, Ha Noi. It has a robust economy and vibrant private sector. The city counts Dam Vac lake and nearby Tam Dao tourism area as its environmental assets. social growth rate, lack of financial resources, outdated urban infrastructure (wastewater, solid waste, drainage), and the absence of a public transportation system. Promote ecobusiness in manufacturing and services. Improve the urban environment, including Dam Vac lake. Become a regional leader in education and health services. Implement a clean manufacturing plan that supports high-value manufacturing with a smaller environmental footprint. Promote the use of local parts by foreign manufacturers. Promote the development of low-polluting service industries such as tourism, education, and banking and finance. Build the institutional capacity of the city government and their utility. Create a sanitation credit scheme for low-income households to help them cope with the costs of constructing toilets, septic tanks or latrines, and for connecting to the piped wastewater network. Preserve and enhance its environmental assets to capture a larger share of the regional ecotourism market. Put better transport connections between Ha Noi, Vinh Yen city, and Tam Dao mountain. Revise and improve the regulatory framework for lakeside development. Use public-private partnerships for individual development projects. Develop a university city and build new hospitals. a performance monitoring and evaluation framework, including a citizen’s community scorecard for rating service providers. Increased tourism and job opportunities, cleaner environment, and improved real property values. ADB. 2015. Vinh Yen GrEEEn City Action Plan. Mandaluyong City, Philippines: Asian Development Bank. ADB. 2016. Nature-Based Solutions for Building Resilience in Towns and Cities: Case Studies from the Greater Mekong Subregion. Mandaluyong City, Philippines: Asian Development Bank. R. Naik Singru. 2015. Regional Balanced Urbanization for Inclusive Cities Development: Urban–Rural Poverty Linkages in Secondary Cities Development in Southeast Asia. ADB Southeast Asia Working Paper Series. No 11. Manila: Asian Development Bank. R. Naik Singru and M. Lindfield. 2016. Manual for Undertaking National Urban Assessments. Mandaluyong City, Philippines: Asian Development Bank. S. Sandhu and K. Sameer. 2015. Greenhouse Gas Inventories for Urban Operations in Southeast Asia: Challenges and Opportunities. ADB Southeast Asia Working Paper Series. No. 12. Manila: Asian Development Bank. S. Sandhu and R. Naik Singru. 2014. Enabling GrEEEn Cities: An Operational Framework for Integrated Urban Development in Southeast Asia. ADB Southeast Asia Working Paper Series. No. 9. Manila: Asian Development Bank. S. Sandhu, R. Naik Singru et. al. 2016. GrEEEn Solutions for Livable Cities. Manila: Asian Development Bank. Sonia Chand Sandhu, an environmental engineer and climate resilience and sustainability specialist, has 23 years of international development experience in environmental sustainability, resilience, and integrated institutional solutions for management of multisector infrastructure operations at ADB, the World Bank (South Asia and Africa), and in the private sector. At ADB, she led the GrEEEn Cities Initiative for secondary cities in Southeast Asia for balanced urban transformation and developed innovative knowledge solutions for climate resilience in the Greater Mekong Subregion. Ramola Naik Singru supports ADB's urban sector development with a focus on integrated development for Livable Cities. She co-led the preparation of the framework for National Urban Assessments and the Inclusive Cities toolkit under ADB's Urban Operational Plan 2012-2020, and co-led ADB's GrEEEn Cities Initiative in Southeast Asia to develop GrEEEn City Action Plans. Ms. Singru is interested in engaging with people to take ownership for shaping their cities, and exploring the interface between urban development, urban-rural linkages, and regional integration.